I went a year between updates on this beast, so there a lot of changes. If you see anything I am missing, please let me know. Last edited by The_Dr_B on 2013-Feb-11 9:41 am, edited 2 times in total. With all the sacrificing, cards like Chainer, Dementia Master and It That Betrays, Ink-Eyes, Servant of Oni (the priciest of all the cards I'll mention), and Geth, Lord of the Vault would be pretty awesome in here. I know Guul Draz Assassin and Bloodseeker are vampires, but they're both small with limited effects (for the cost of the full level up on the Assassin you can get a Visara or Avatar of Woe). Also Triskelion + Mephidross Vampire is a one sided board wipe for you. Sadistic Sacrament is kinda weak/ kinda unfun, maybe swap it out for Exsanguinate since you have a ton of mana doublers. Greed is sorta like a substitute for Moonlight Bargain on an enchantment that does great with a lot of mana and EDH life totals. There are a couple cards that are missing out big-time. First, and far most obvious, is Sorin. 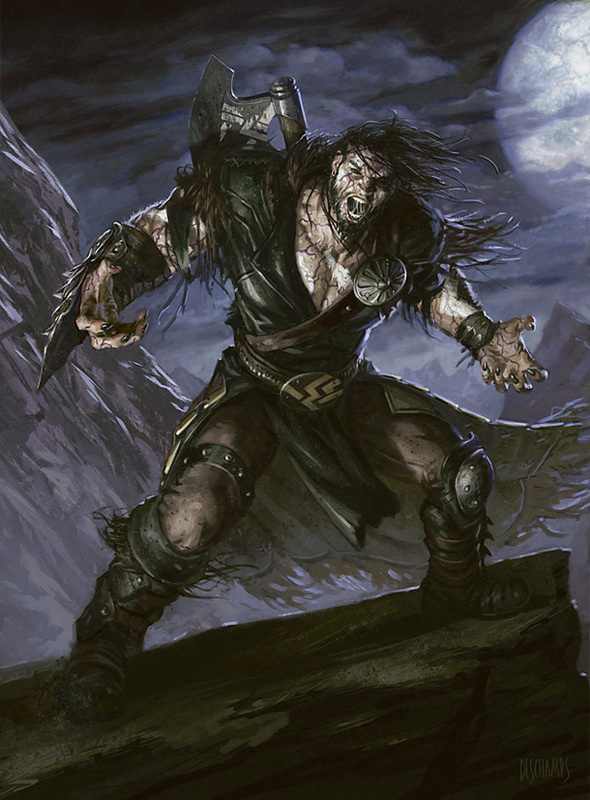 Sorin is one of the best cards in EDH (compared to how good he is out of EDH anyway), for his first ability zaps chump blockers or your opponent and gets you a small amount of life, his second brings your opponent down to TEN life, and his final (though you've probably won the game by the time you use it ) is Mindslaver, which is epic in EDH if your deck can afford it. Also, Sorin is not really that expensive any more, and nearly every dealer has at least one that they're willing to trade. Also not sure why Malakir Bloodwitch is missing. She is AMAZING in a tribal vampire deck, especially if you're facing a white general. Finally, in the land base, this is one expensive card, but Dark Depths. You not only run the Hexmage, you also even run Hex Parasitetoo! Not to mention that Dark Depths can win by itself sometimes too. Dark Depths is too expensive. Plus, I lost the Hexmage in the update. Why get rid of the Hexmage? A 2-mana way to stop almost any 2 mana general, kill any planeswalker or almost any hydra in the game, stop cards like Chalice of the Void and Helix Pinnacle, that's also a vampire should never leave the deck! I played a lot with him in the deck, and I think I was happy to see him maybe one time. My meta doesn't run very many planeswalkers, as the better ones tend to make everyone freak out and attack them. I've never seen Chalice of the Void in a game, Helix Pinnacle has shroud, and Animar has protection from black. Hex Parasite allows you to reuse it's ability without having to recur it multiple times. For the lower priority stuff I might actually see, this increases its value dramatically (plus it can target Animar, of which there seems to be one in every match recently. Oh, and Malakir Bloodwitch was in there previously, but didn't make much impact. White is probably the most underrepresented color in my meta, but if that changes I could see a comeback. Also, any deck with Cabal Coffers in it needs an Urborg, Tomb of Yawgmoth. I played something similar a while ago, and have been thinking of rebuilding it since Innistrad and M12 were released (link). My list is a bit dated, but you can see the direction I went with it. Basically, I found Anowon to be the strongest when you also hit them with discard effects. I first hit on the idea when I found myself using a coffers-powered Bloodhusk Ritualist as a Mind Twist. After that, it was off to the races; Anowon's hits become all the worse when resources are limited from hand. Of course, not every group likes having their hands lopped off at the wrist. I do like Urborg, Tomb of Yawgmoth, but that's another card that's hard to pry out in a trade. I have a whole list of them for my various decks, and typically the release of a new set is the best time to hit the trading tables. If you're going to play discard, how about Mind Sludge and Myojin of Night's Reach? Mind Sludge is definitely a yes, but when I built the deck, I used Cabal Conditioning instead of Myojin. Myojin wouldn't survive the upkeep, and I was playing purely on a vampire theme. This is the latest list. It has had some changes made that are just for flavor/foils as well, so some cards are a bit weaker than before.